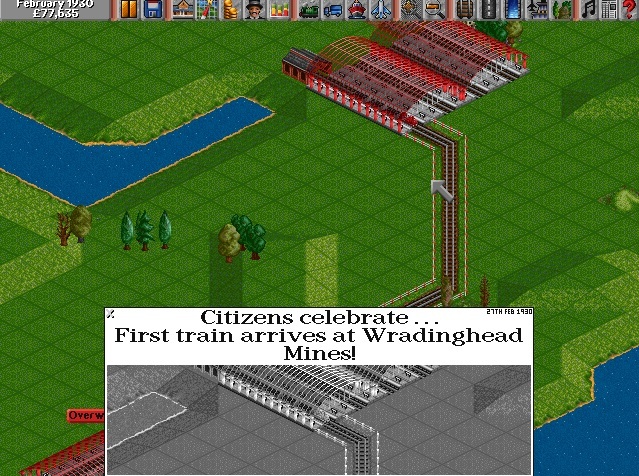 Here's another of the old school jazzy tracks to feature in the original Transport Tycoon called "Little Red Diesel". I was going to take a screenshot of a little red diesel engine for the video but then realised it probably would've taken too long since you start off with a whole bunch of neat steam locomotives instead (as the game starts in 1930). And... as I type this, I just realised there's actually a red diesel engine on the main menu screen for the game... D'oh! Anyway you'll just have to do with this screenshot of a little red steam engine instead.